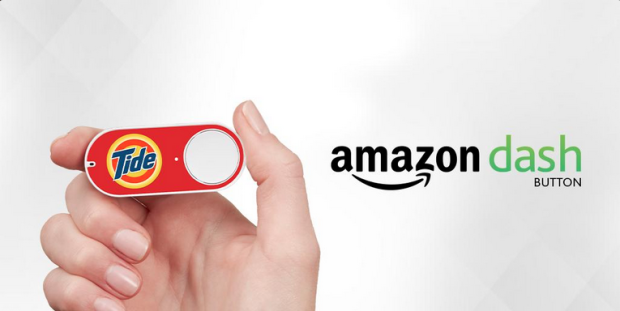 Amazon Dash: What Products Would You Order With the Push of a Button? Amazon offers the TCL 49" 1080p Flat LED Roku Smart Television for $199.99 with free shipping. (Best Buy charges the same.) That's a low by $50 and tied with our January mention as the cheapest 49" or 50" TV with Roku we've ever seen. It features a 1920x1080 (1080p) native resolution, built-in Roku OS, and three HDMI inputs. The physical button lets you immediately reorder the items you end up consuming the most (like Cheez-its). The biggest online retailer in the country wants to change the way you shop, and it's hoping it can do this with the help of a clever little button that many of us mistook for an April Fool's prank. Amazon's Dash Buttons are indeed physical buttons that are WiFi-enabled and are meant to adhere to whatever surface is near a corresponding product that you use frequently. (For example: A Tide detergent button on your washing machine.) There are over 255 products from 18 companies that are eligible to work with the button, including popular household brands like Tide, Keurig, Olay, Huggies, and Bounty. When a user runs out of said item, he or she can just push the button to order more. Amazon will then send an order alert to their phone in case they'd like to cancel. The problem it tries to solve is how easy is is to forget what items we need to restock, once we're no longer in front of the item in question. In Amazon's mind, it'd be more convenient to order necessities at the moment we notice that we're running low. This would appear to be an extension of a previous concept from Amazon, the Dash barcode scanner and microphone, which seemingly didn't take off. But can these buttons avoid their predecessor's fate if there are such a limited number of participating companies? Or is this alternatively a concept that Amazon knows has a limited lifespan, but importantly primes the consumer to crave that instant documentation of needs... leading them to the Amazon Echo, which has list-making functions and is "always on"? Regardless of Amazon's intentions, we ask you, dear readers: What product(s) do you love and consume so much that you would personally benefit from having a Dash Button? Perhaps it's your favorite snack, a specific cereal, or your favorite bottle of wine. (We promise, we won't judge!) Let us know in the comments below! 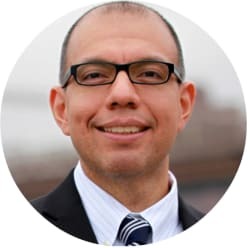 With over a decade of experience covering technology, Louis Ramirez has written for CNET, Laptop, Gizmodo, and various other publications. Follow him on Twitter at @louisramirez. Yes, I want to order a bottle of Tide for $25. Most of P&G's items are far overpriced to begin with. I don' see any value in S&S and groceries on Amazon, unless they can match the lowest prices in town. I get a price match right now with Wal-mart (yes the evil empire). I do the Amazon price match all the time with Amazon's iOS app, they can't beat the in-store prices for most items. If they do it only in bulk buy, and then I might as well go to warehouse store. [like the Bounty towels with a 2.00 coupon just yesterday, the store has them for 16-17 dollars instead of 21.] If Amazon can price match the 41 stores that Wal-mart does in my area and shipping then I'd sign up for buttons. Since Oct 2014 I've saved 14.20 I did miss a few receipts but I try to do them right away. I comparison shop for just about everything. But if I need groceries, I can't handle visiting more than one store. Maybe that's a NY thing, but my time is worth more in that case. IMO, buying something without comparing prices, getting a coupon, or otherwise finding a deal -- even at the push of a button -- violates the terms and conditions of the DealNews website. Or, at least the spirit of visiting DealNews in the first place! I'm always amused at those who immediately jump on the "conspiracy theory" bandwagon when these types of things come out. Nobody is forcing you to buy a Dash Button. I, for one, have not found great value in S&S as I usually end up with way too many extras and end up canceling the S&S subscription. This seems like a great alternative and, you know what? If I see Amazon is gigging me on price, I have options (ie, stop using the dang button). This seems like an ideal solution for someone like a senior citizen who may not want to mess with the complications of ordering on a computer or smart device and may not care if they are not getting the best price as the convenience is worth more than shopping around to save a buck or two. Unless I can be guaranteed I'm getting the best price always...this is doomed to fail for the middle class. Beer. I don't think this is a gimmick, I think this is a step on the path to fully automated ordering. Amazon has been beating around the bush with the idea for some time now and they will eventually get there. They've implanted these devices with Wi-Fi chips and will eventually find a way to get chips into your appliances and pantry and fully automate the process of keeping the shelves stocked. @witchboard: Subscribe and Save sends you orders every month (or whatever) as set by you but this button sends you order when you are almost out. Maybe the DealNews staff thought of not eating Cheezits for a week but the order would arrive anyway via S&S. With the button they can order when they want. I'm with Witchboard. Subscribe & Save is my preferred shopping method, and there's no limit to the number of things I can sign up to buy (as opposed to just 3 Dash buttons). Also, my kids would press the buttons on a daily basis. Even with the controls in place, I'd have to cancel a LOT of orders. Out of curiosity, why would you use this instead of their subscribe and save model? Neat gimmick, but wouldn't subscribe and save be easier and cheaper? OK dealnews, we get it. You're really trying to push this button thing for Amazon. Maybe you should put it under your "ads banner". This will work only if Amazon guarantees the same price as your previous order, or send an email notifying you of a price increase where without a response from you, the item will not be shipped. I like this idea and hope that it flourishes.